The subtitle of this book is His Life, The Complete Writings, and The Little Flowers. 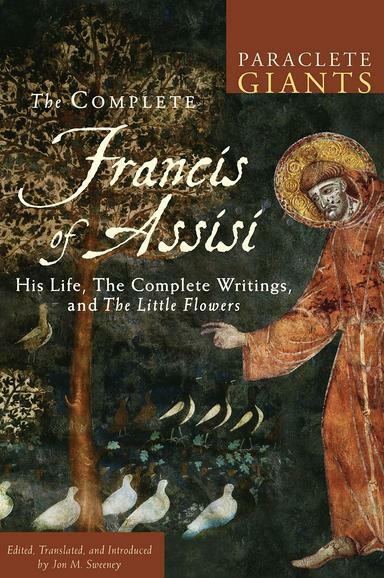 This book is the ultimate St. Francis fan's collection at 400+ pages. I had been wanting to read (and re-read) all these works for quite a while but now I'm very glad I waited. The introductions and footnotes provided by the editor of this collection were wonderful and really helped me get the most out of the books, especially Sabatier's classic biography of St. Francis. Those are lovely thoughts, and one does feel in Francis's company when reading the story of his life, and the words written by his own hand, and the charming book Fioretti/Flowers, which reads like an attempt at a Gospel of St. Francis by those who loved the man. I would add a third audience: those who are about visit Assisi, Italy, especially those who are visiting the town as a religious pilgrim. The first book in the collection is The Essential Biography of St. Francis by Frenchman Paul Sabatier, written in 1894. Necessarily, the author included much material relating to the history of the times and the church in the late middle ages when Francis lived. The editor's footnotes were very helpful in providing extra background information on these subjects for the modern reader. 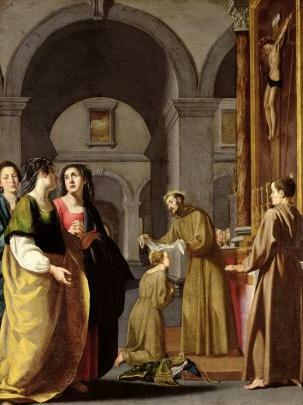 Sabatier's style is easy to read and his book includes all the important moments in St. Francis's life. 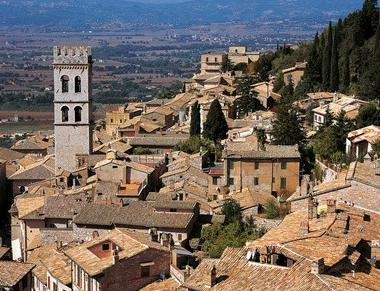 For pilgrims to Assisi, this book will provide all the locations one would want to visit, explaining the importance of each to Assisi's most famous son. I found most interesting the parts where Sabatier explained how Francis was viewed by his contemporaries. That the man was considered a saint during his own lifetime was very impressive, and it explained why he was canonized within only two years of his death. The greater number of people pass through life with souls asleep. Yet the instinct for love and for the divine is only slumbering. 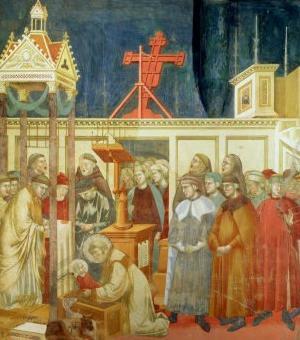 Francis provided in his religious community a refuge for "suffering souls thirsty for the ideal". The second book is a collection of 19 writings attributed to Francis of Assisi: Francis of Assisi in His Own Words: The Essential Writings. 9 of the writings are prayers. 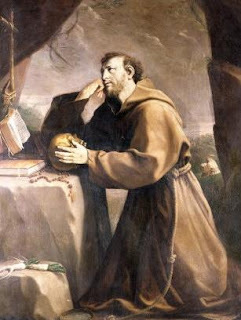 4 are rules for his Franciscan Order. 6 are letters Francis wrote to members of his orders (he founded 3 orders). The prayers will appeal the most to readers, I suspect, for the same reason that St. Francis appeals to so many people: their simplicity and their embodiment of Francis's heartfelt love of Christ. The message is consistent and clear: love, charity, faith, and humility. Throughout the writings one sees a real man who is fully human yet inspirational in the path he chooses and the courage he shows in following through with his desire to live a life that emulates Christ's example. 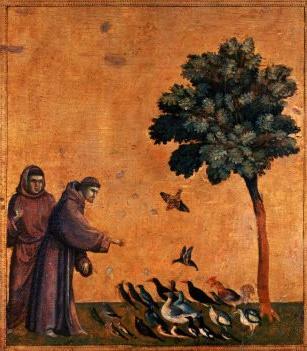 The third book is a medieval collection of 53 stories about St. Francis and his followers: The Little Flowers of Saint Francis Collected by Brother Ugolino. The editor has arranged them in chronological order, and if you read them after having read the first two books in the Complete Francis of Assisi, they will be like icing on the cake. 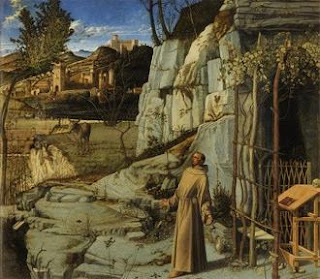 The little flowers, or sweet little stories about St. Francis, read like a Gospel of Francis, a collection of stories and parables to bring glory to the man and to show to the world his sanctity and his Christ-like nature. What comes across too, through the stories, is the love that people had for Francis during his lifetime, and that he was seen as a saint long before the church canonized him. Just a note: for modern readers, the physical abuse that Francis subjected himself to will be rightfully disturbing. Today's Catholic Church does not condone extreme behavior such as extreme fasts and flagellation. Today's emulators of Christ, and St. Francis, are along the lines as Mother Theresa of Calcutta, and others like her, who are sanctified for their good deeds, personal sacrifices, and unlimited compassion. The Complete Francis of Assisi is a wonderful book for pilgrims, and for people who wish to know more about the poor little man from Umbria who set out to live as Christ lived and ended up founding three religious orders, and inspiring so many to strive to live their lives with more love, charity, faith and humility. There are many editions of the writings of Francis, and biographies about him, but here in one volume are both, plus the complete text of the late medieval work The Little Flowers, which did more to establish the legend of the man than any other work. 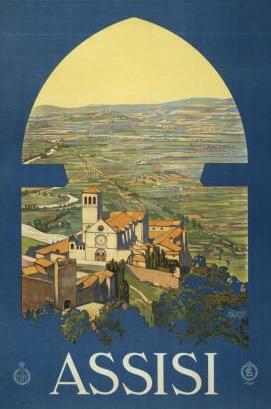 This “Paraclete Giants” edition includes the complete Road to Assisi, Paul Sabatier’s groundbreaking and foundational biography of the saint, first published in French in 1894 and reissued and expanded in 2002; the complete Francis in His Own Words: The Essential Writings; and The Little Flowers, thus offering the best introduction to St. Francis yet available between two covers. The editor of this book has published other books about St. Francis. Here is a selection of them with direct links to their Amazon.com pages. Please visit the author's website, or follow him on Twitter. Although Benedictine spirituality is at the heart of all we do, we are an ecumenical publisher and as such we present works that unite us and enrich our understanding as Christians, whether Catholic, Protestant, Orthodox or Evangelical. Paraclete publishes about 40 books a year and distributes the recordings of Gloriæ Dei Cantores and the Monks of Solesmes, France. We also publish sheet music and an award-winning line of educational videos. Our sales department directly serves over 5,000 churches and 5,000 bookstores, and we distribute our books and music through Barnes & Noble, Amazon.com, Books-a-million, Sam's Club and other major retailers.